Your eye care specialists at Optica la Mar Care Center consists of ophthalmologists, optometrists, technicians, and support staff. 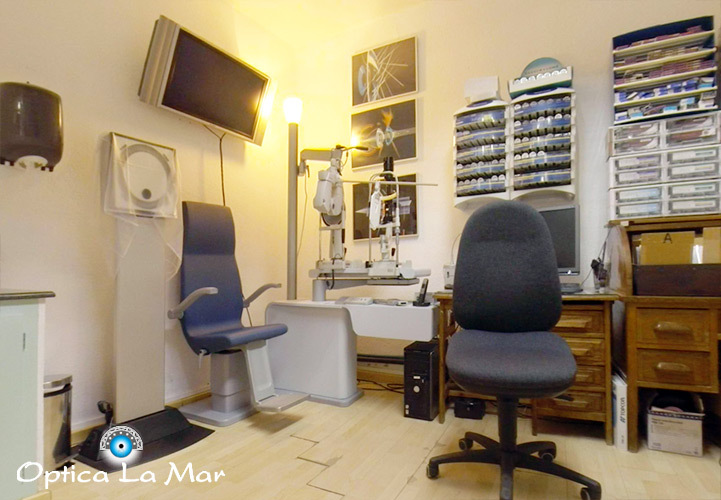 Optica La Mar believes in providing the best service to its customers with the help of the latest technology available. In the field of eye analysis, we have just received the 3D OCT-1 Maestro, Optical Coherence Tomography. This machine automatically scans the left and right eye, and produces simultaneously an OCT scan and a true colour fundus image. The auto alignment, the auto focus and auto shoot ensure that the whole process is done fast and correctly, creating a 3D animation of the macula and research every thing of the retina and the Optic nerve. The images are sent to a retina specialist hospital in Barcelona and, within 24 hours, we receive the response from the doctor. 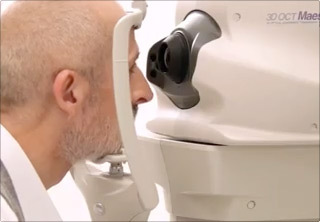 Other equipment allow taking precise measurements and, with a computer analyzing device (Ritz), obtain the proper graduation of the lenses. Thanks to our equipment and support staff, all lens cutting work and frame repairs are done in our laboratory. All of our professionals work closely together to provide you with high quality and uncompromising vision care. 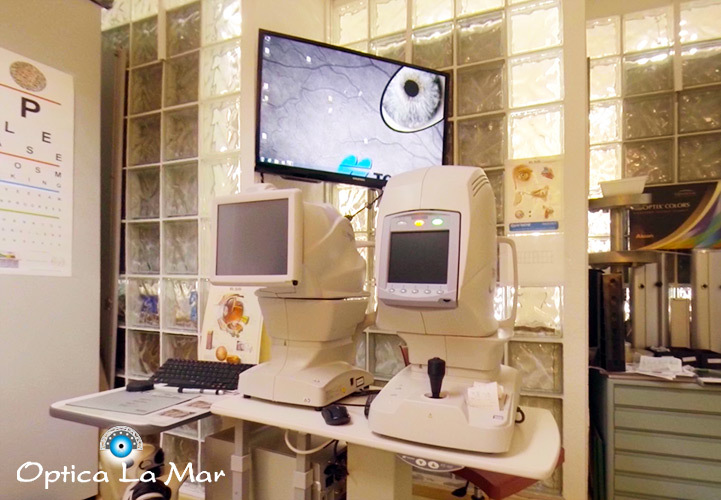 Optica la Mar Eye Care Center focuses on quality products, exceptional service, and real value rather than one-hour deliveries, but we can meet your time constraints without compromising quality. Eye exams are crucial in maintaining healthy eyes at all ages. – For children, certain eye diseases can potentially limit a child’s vision development and learning abilities. It is recommended that children have yearly eye exams to ensure healthy visual learning and development. – Healthy adults should have eye exams every 1 to 2 years. Adult eye exams check for any eye disease or for any medical conditions that may affect eye health such as Diabetes and High Blood Pressure. – Seniors should have yearly eye exams to check for cataracts, glaucoma, oracular degeneration, and other diseases that may impair vision.